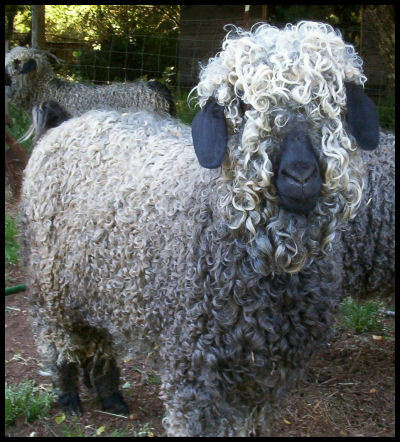 Angora goats are cute creatures with very mellow personalities. They have curly locks and fast growing coats that need to be shorn twice a year. Mohair, the name of the yarn made from the hair of the Angora goat has a wonderful natural luster, a smooth, slippery feel, which yields yarns and fabrics with amazing drape. It is often used in fiber blends with other wools such as merino. Mohair has both fantastic insulating properties in winter and cooling properties in warmer months due to its moisture wicking characteristics. For those reasons, Mohair is excellent for use in socks, as well as a number of finished products. Like most natural fibers, mohair can take dye easily to create a variety of colors for yarns for any project.